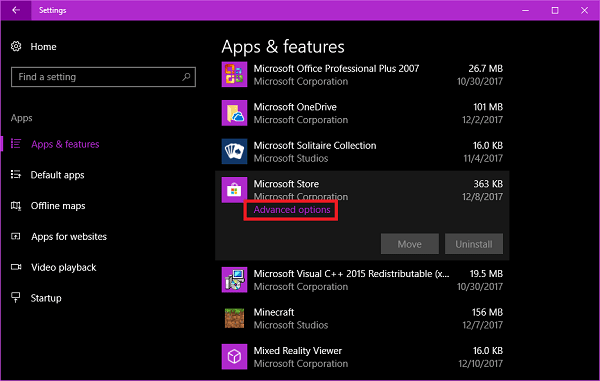 Want to fix Windows Store cache may be damaged in Windows 10? Don’t worry, the post you will read about all the solution to troubleshoot and fix this Windows store issue. Windows Store is the Microsoft marketplace from where you can download apps, games, themes, extensions for Edge browser, fonts and much more. Sometimes users encounter the situation where they’re not able to access and use the store apps or store itself. In today’s post, I’m going to discuss one of the popular Windows store issues faced by lots of Windows 10 users because Windows store cache is damaged. Usually, whenever users face problem in using Windows Store, they are advised to run the Windows Store Apps troubleshooter. In most of the cases, this amazing troubleshooting tool from Microsoft fixes the issue. The troubleshooter scans the whole system and tries to find out the issue due to which users face a problem with Windows Store. The good thing is that it automatically fix the issue without any action from your side. 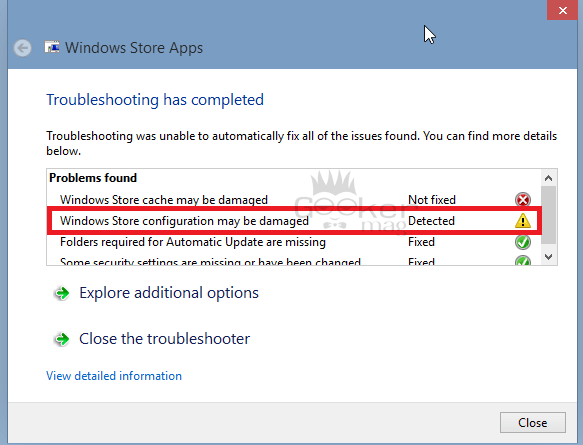 But what if Windows Store troubleshooter unable to fix the issue with Windows Store and throw you an error in the message which reads “Windows Store Cache May Be Damaged” in Problem found section? Lots of Windows 10 users facing the same issue and Windows Store troubleshooter unable to help them. But don’t worry this is just a minor bug and can be fixed just by resetting Windows store manually accompanied by cache folder available in the app directory. 2. Click on the Apps -> Apps & Features. 3. On the right side, you will get the list of all the apps and programs installed on your Windows 10 PC. Scroll down until you see the app named as Microsoft Store. 4. Click on the same application and then click on the Advanced Options. 5. In the Advanced options window for Microsoft Store, you will see a Reset button simply click on it. 6. Reboot Windows 10 PC. 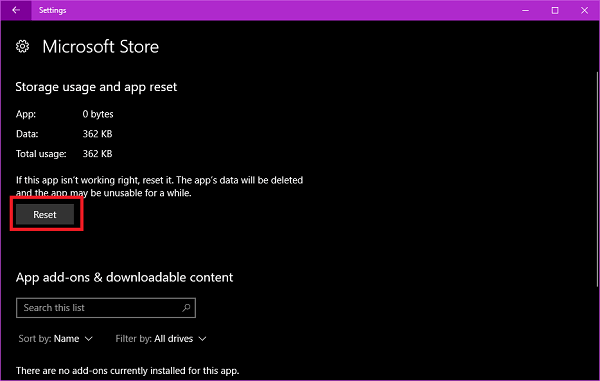 There are some other ways to reset Windows Store in Windows 10 worth trying if this method is not working for you. 1. Launch File Explorer by pressing WIN + E keyboard keys. Note: Make sure option to show hidden file is enabled. Otherwise, you will not reach to this directory and see a warning message. 3. 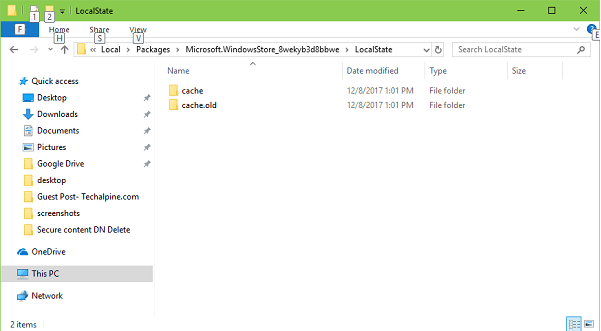 In this folder, if there is already a folder named as Cache then change it to Cache.old and then create a fresh folder with name Cache. If no folder is available, then just create a folder named as Cache. This will clear the clear Windows Store cache. Reboot your system and check if you still seeing error Windows Store Cache May Be Damaged in Windows 10. This procedure also works flawlessly even if you have a local account. You can also run Windows Store app troubleshooter I bet this time you won’t see the same error which you saw previously. I hope my troubleshooting guide on how to fix error named as Windows Store Cache May Be Damaged in Windows 10 useful. If you need any assistance, let me know in the comments. I would love to assist you.